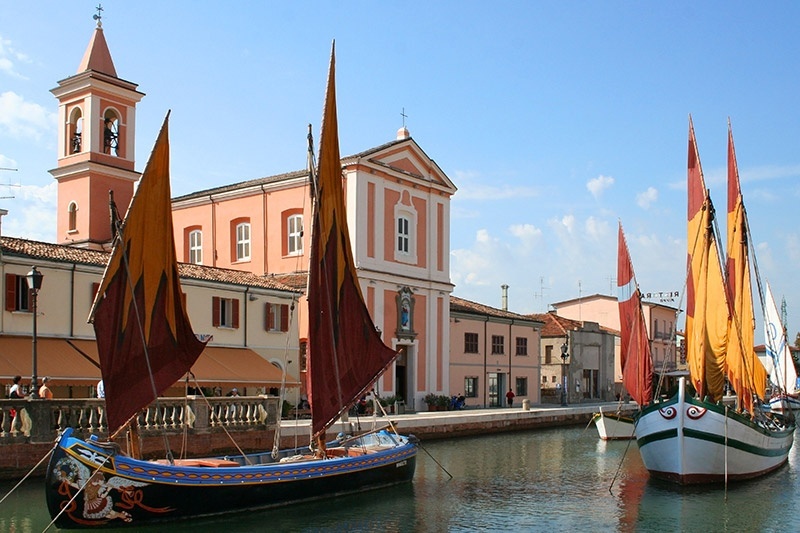 To spend a morning or an afternoon with a difference, we recommend a visit to the Maritime Museum, located right along the harbor of Cesenatico. 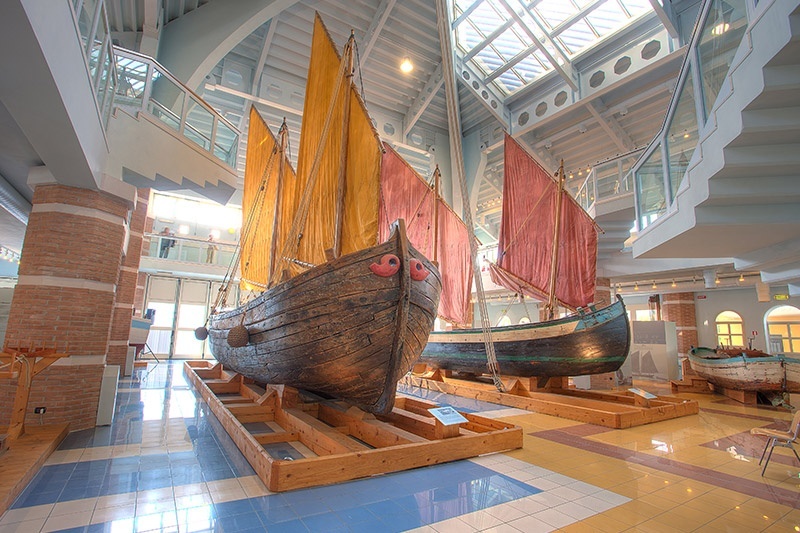 Inside the Museum you can make a trip to ancient seafaring Adriatic, observing the boats, gear, ropes, sails, and rediscovering the history and identity of the place. In addition to the indoor units at the Museum there is also the impressive floating section, out of the building, in the port channel. Here you can see a dozen historic boats (three of which kept alive), complete their typical colorful sails. In summer the show is even better because the sails are hoisted daily. Museum admission is free for children under 6 years of age, while adults are charged 2. Children under 18 years, adults over 65 years, teachers and students, and groups of at least 15 people, pay only 1 each. Since 1986, Cesenatico, namely its charming canal harbour, houses the Crib of the Navy. 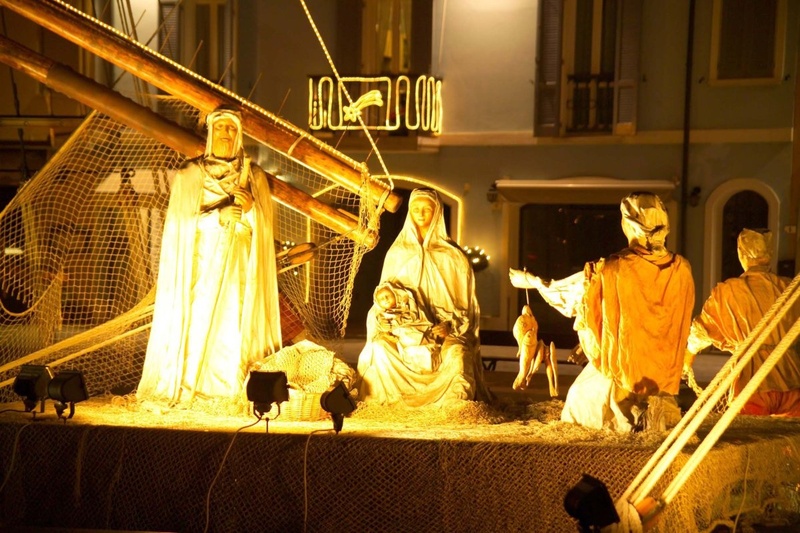 At Christmas time, from the first Sunday in December until the Epiphany, historic canal boats, copyright statues are placed on a human scale, representing the Holy family, but also common characters like the fisherman or sailor on offering its fish as a gift. The idea was created in 1986 by the artists Tinin Mantegazza, Maurizio Bertoni and Mino Sacdalan, the brainchild of Guerrino Gardini. The first statue to be made was that of Saint James, patron saint of Cesenatico. Every year, the crib of the Navy is able to attract thousands of tourists to the charm that awakens, particularly at night, when it is all lit up.